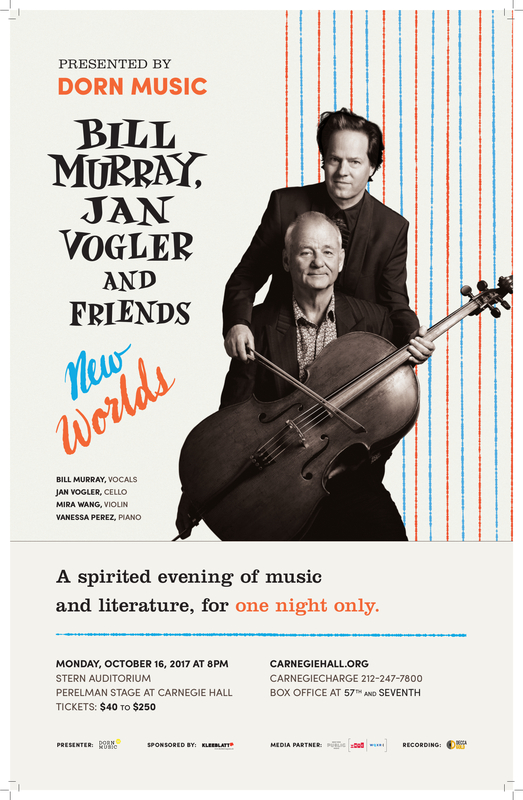 On October 16, 2017 “Bill Murray, Jan Vogler & Friends” will complete the October America Tour with a very special concert in New York City: For one night only, “New Worlds” will come to Carnegie Hall – presented by Dorn Music! We couldn’t be more excited and are looking forward to welcome everybody!! !